Toronto, 22 September 2010 – The Ontario government is failing to protect environmentally significant wetlands from agricultural drainage activities, says Ontario’s Environmental Commissioner Gord Miller in his 2009/2010 annual report released today. Wetlands are vitally important ecological features in Ontario’s landscape. They filter and purify water, provide habitat for both aquatic and terrestrial species, store water during flooding and release it during droughts. In 2005, the Ministry of Natural Resources proposed adding 20 additional parcels of wetlands to the provincially significant Goulbourn Wetland Complex, in the City of Ottawa. Under the 2005 Provincial Policy Statement, that is just a first step. The municipality also has to designate the wetland in its official plan, before the classification is final. Following the MNR proposal, some of the landowners petitioned the City of Ottawa to construct new municipal drains on part of the wetlands. That prompted the municipality to abandon its plan to declare them “provincially significant.” Landowners then filled, drained, and removed vegetation, in an effort to drain part of the wetlands, and remove its “provincially significant” status. In the end, the City of Ottawa approved only part of the proposed addition to the Goulbourn Wetlands Complex. The province eventually consented to the change. 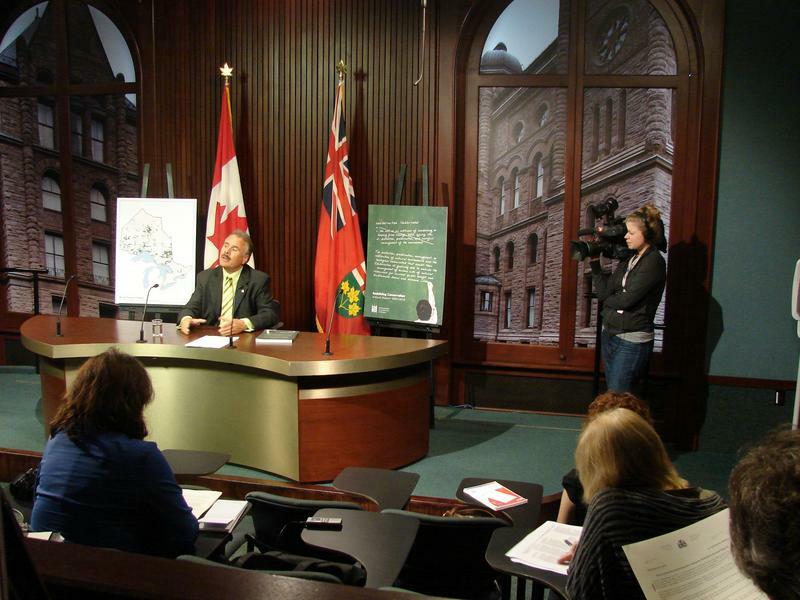 •	Click here to read the chapter “Drainage Act & Wetlands” on the website of the Environmental Commissioner of Ontario.